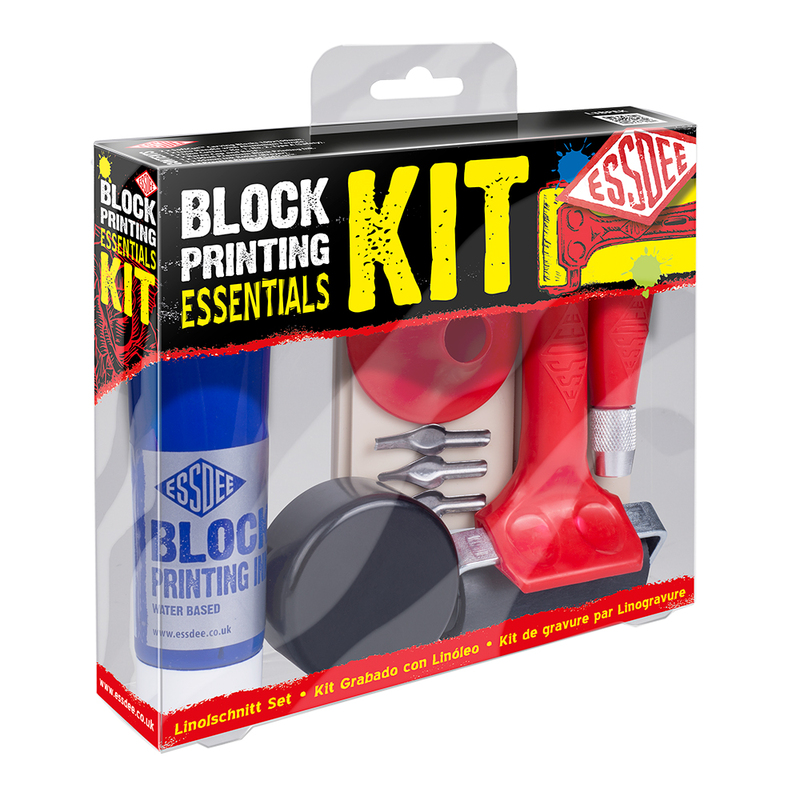 The Essdee Block Printing Essentials Kit includes everything you need to begin your first steps into relief printing. 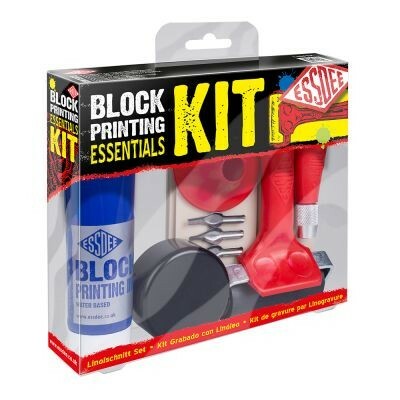 This kit provides the essential tools and materials that you need to create your own prints, including easy-to-carve SoftCut carving blocks and the Essdee safety cutter which is ideal for beginners. Also included is the patented 3-in-1 baren, which enables prints to be made by hand, and 100ml of Essdee’s premium quality water-based block printing ink, enough to make many prints. This educational and fun kit is ideal for making unique greeting cards, gifts, scrapbooking or even great works of art! Ideal for ages 12 and upwards (adult supervision advised).